For business today, analyzing streaming data in real time, continuously generated from thousands of data sources, is not a simple process. Typically data records are sent simultaneously and in small sizes (on the order of bytes or kilobytes). 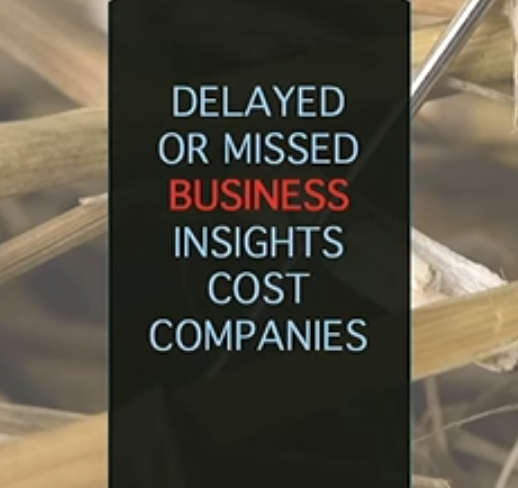 Companies making real-time business decisions based on streaming data turn to a wide variety of sources such as log files generated by customers using mobile or web applications, eCommerce purchases, in-game player activity, information from social networks, financial trading floors, or geospatial services, and more. We want to help data-driven organizations make sense of the huge amounts of data and metrics they generate. Join our webinar from the Amazon Partner Series to hear how Lyft and other data-driven organizations benefit from uncovering hidden insights in real time with AI solutions from Amazon Web Services (AWS) and Anodot. Learn how to prevent events that can impact your revenue and brand integrity with a solution that detects anomalies quickly, allowing you to address issues in a timely manner to help ensure a consistently high-quality experience for your customers. While ingesting and collecting, storing, and processing billions of events per second, the challenge is in both transforming the raw data to metrics and automatically analyzing the metrics in real time to produce actionable insights. Due to the sheer amount of data available, and the amount of data to be tracked growing exponentially as business expands, manually detecting every abnormal event simply is not scalable; even a subset of the data would require specific tools to deal with false positives, to handle missing alerts, and to face changing thresholds. Learn how Anodot’s autonomous analytics service implemented on Amazon Web Services (AWS) leverages the scalable, highly available cloud infrastructure that organizations around the world trust to power their most compute-heavy workloads. This approaches discovers and alerts on data anomalies in real time, helping customers to avoid costly business incidents, realize revenue opportunities, and identify issues before the impact the business. We will look at how our customer, Lyft, as well as from various industries are applying insights from anomaly detection for events. As Lyft’s ride-share operations has grown, they realized that late discoveries of anomalous events could impact revenue, as well as customer satisfaction and brand strength. With Anodot, Lyft receives real-time alerts through email and Slack for issues that need immediate attention. The accuracy of Anodot’s analysis improves as the data stream grows, aggregating and learning from the data generated by Lyft’s mobile app. For example, after releasing a major app upgrade, Lyft’s team members can investigate issues to determine whether or not they are expected, and take action to rectify problems and identify potential issues.